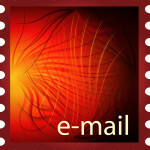 Empowering Email | Rose Communications, Inc.
For some people, the volume is overwhelming. One senior executive told me that she receives about 1,000 emails a day. Some of that email is extraneous (no kidding!) – the “thank you” and “okay” messages many people send as acknowledgments. Others are the result of the Reply All button, sometimes essential to use and then again, sometimes not. But many of these emails contain necessary information. How do you break through the clutter? How do you make it easier for the people you’re emailing to understand what you want or need from them? As a financial writer, I found it essential to answer these questions. So I have developed a few techniques that help me communicate more effectively by email, get the attention of the people I need to reach, and organize information to make it easy for them to respond. Be specific in the subject line. For example: “By noon Friday: Review attached white paper.” Now your recipient can prioritize your request. Change the subject line. In an email string, the topic can sometimes shift. When it does, update the subject line so that recipients know another issue is under discussion. Highlight critical information, such as a deadline, using boldface and/or italics. Make it pop. Use bullet points to organize information efficiently. When you have a number of details to cover, bullet points can help readers follow your train of thought. Provide the crucial details. If the email recipient has to meet a deadline, specify the date and time. If you want them to attend a meeting “on Thursday,” provide the date to eliminate confusion or send them a meeting invitation. More specifics = less follow-up emails on both sides. Email is a powerful tool that helps me in my work every single day and is most effective when communication is clear and uncluttered. Deleting or archiving the completed string is particularly satisfying. *Email Statistics Report, 2013-2017 by The Radicati Group, Inc.